MUSTAFA KHADER ISMAEL was 18 when a chemical rocket exploded in his garden in Goptapa. By the end of the day nine of his 13 immediate family members were dead. The memory of his mother, brothers and sisters staggering out of their house in Goptapa in a futile attempt to escape poison gas fumes will remain with Mustafa Khader Ismael for the rest of his life. He remembers vividly 16 chemical rockets striking the village on 3 May 1988 and a green toxic mist drifting across mud houses and alleyways towards his home. Mustafa, who had been hiding food and equipment in the fields nearby, in case of attack by the Iraqi army, had run back to the village when he heard planes overhead and the muffled sounds of exploding chemical bombs. Just 18 years old, Mustafa was frightened by the horrors unfolding in front of him and could scarcely believe his eyes when his mother and his siblings collapsed just a few yards away. Leaving his dying family behind, Mustafa staggered down to a house inhabited by a family of 18 people. 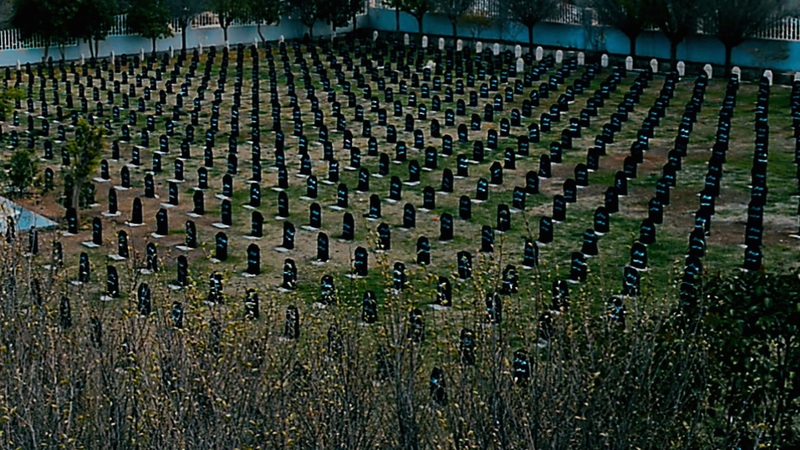 Half of them were dead and the remainder, who lay face down in a stream, were slowly dying. 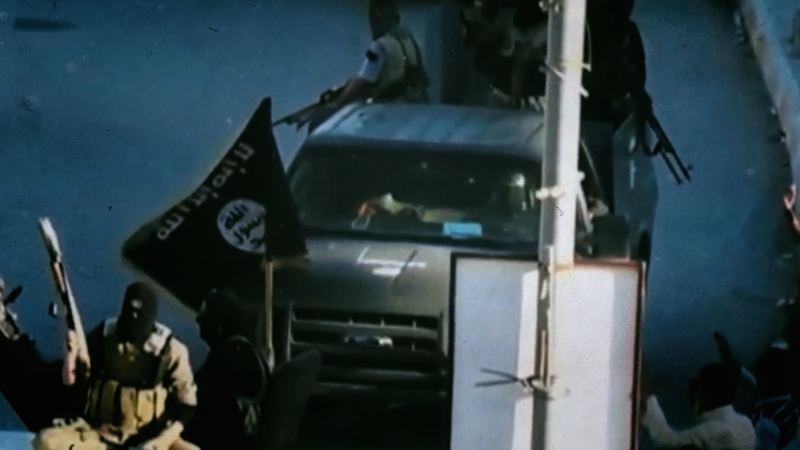 A peshmerga, who was helping a dying villager frothing at the mouth, urged Mustafa to soak his cummerbund in water and use it as a protective mask. It probably saved his life. With his eyesight gradually worsening, he met one of his sisters who guided him to the top of a hill in Goptapa. Despite the mask, the gas was beginning to affect him. His face was swollen and sore and his breathing laboured. Mustafa struggled on alone across fields outside the village barely able to see. His chances of survival looked bleak. Dogs barked at him as he shouted for help and begged to be taken somewhere safe. 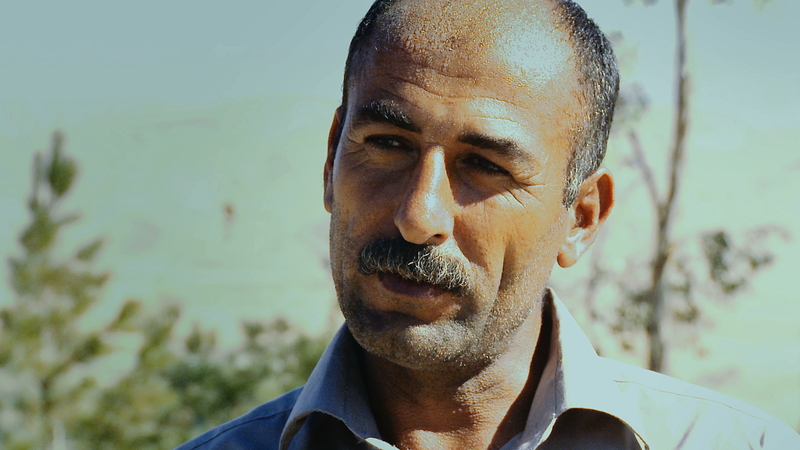 A Kurdish shepherd appeared out of nowhere and agreed to guide him to Qalla Qochali village which was close. Qalla Qochali was abandoned shortly afterwards and the decision taken to head towards Takiya, a village eight hours walk away. 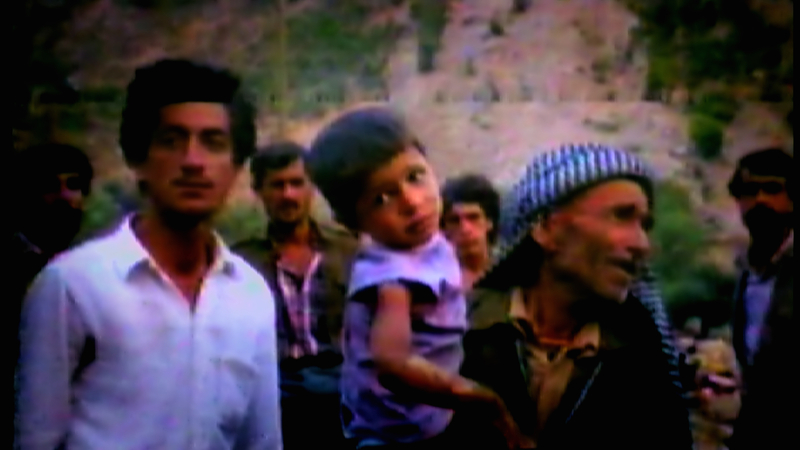 After a chemical attack in May 1988, MUSTAFA KHADER ISMAEL fled with other villagers from Goptapa. Fearing Mustafa’s chemical burns would betray who they were, his companions abandoned him in a field. He experienced extreme pain and despair until a Kurdish collaborator with the Iraqi army (“jash”) unexpectedly helped him find refuge. When they drew near to their destination close to Kurdistan’s border with Arab Iraq, the others decided to leave Mustafa behind because his chemical injuries would have been obvious to the Iraqi authorities in the town. ‘We would soon have been arrested,’ says Mustafa. Mustafa was discovered by a jash fighter, a Kurdish mercenary attached to the Iraqi army,whom he begged to either kill him or let him go. The jash fighter guessed immediately that he was from Goptapa, but agreed to take him to Takiya without informing the Iraqi authorities. Mustafa reached his uncle’s house in Takiya where his wounds were treated by a local Kurdish doctor. His psychological condition was poor, however. ‘In my sleep I kept reliving what I’d seen that day again and again,’ says Mustafa. Although sheltered by his uncle, Mustafa was still at great risk. He escaped attempts by the Iraqis to track down Anfal survivors in Takiya by hiding in the countryside before returning safely to his uncle’s house. His father, who had been away from Goptapa during the attack, arrived shortly afterwards. Mustafa stayed with his uncle for seven months, before he and his father built a house together in Takiya. 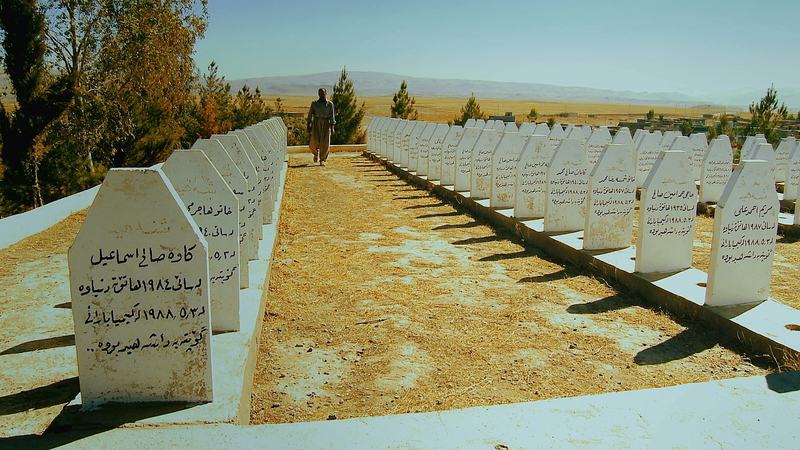 They remained there until the Kurdish uprising in 1991. They then returned to Goptapa, a village of destroyed houses with unburied corpses in the houses and alleyways. 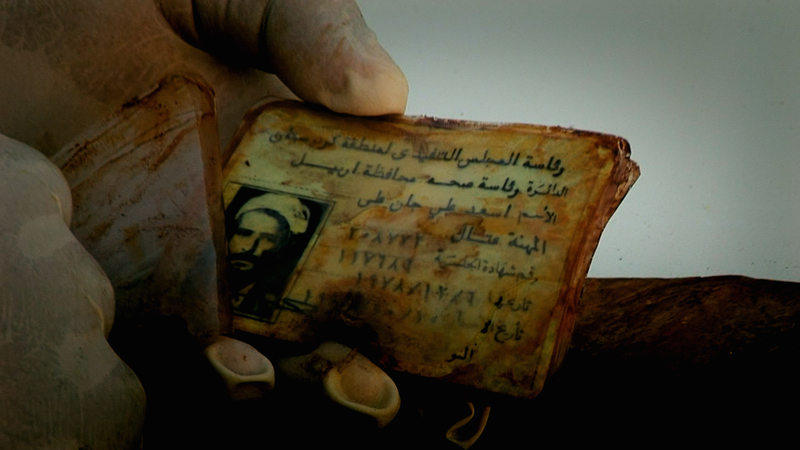 In 1993 Mustafa was present when his mother’s remains were exhumed. 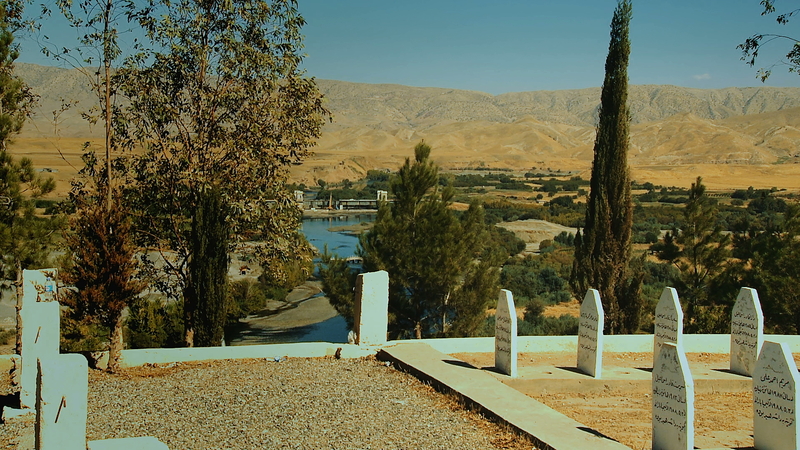 In 1996, the remains of Mustafa’s grandmother and a sister were also found and reburied in the Goptapa cemetery. 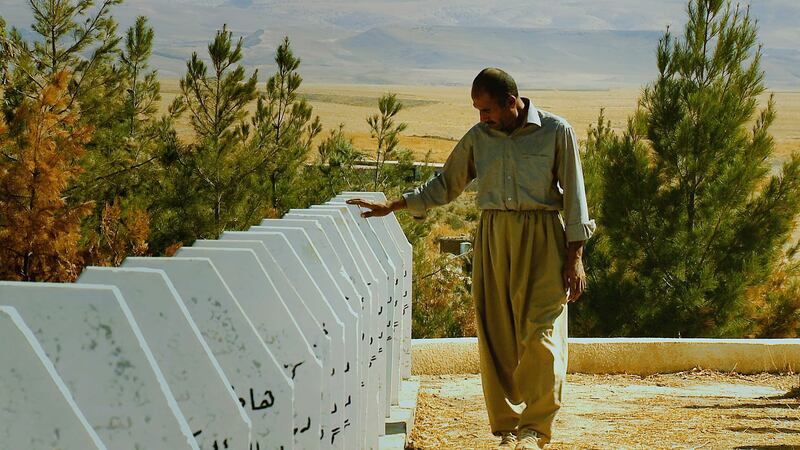 In total, 130 villagers, all victims of the chemical attack, are buried there though estimates of the final death toll range between 160 and 300. Only three of MUSTAFA KHADER ISMAEL’s immediate family survived the chemical bombardment of Goptapa village in May 1988: his father, a brother and a sister. When his sister went to Chamchamal for treatment, doctors refused to help. Fortunately she was discovered by a bereaved family, also from Goptapa, who nursed her to recovery. Goptapa is a large village in the Lesser Zab Valley. 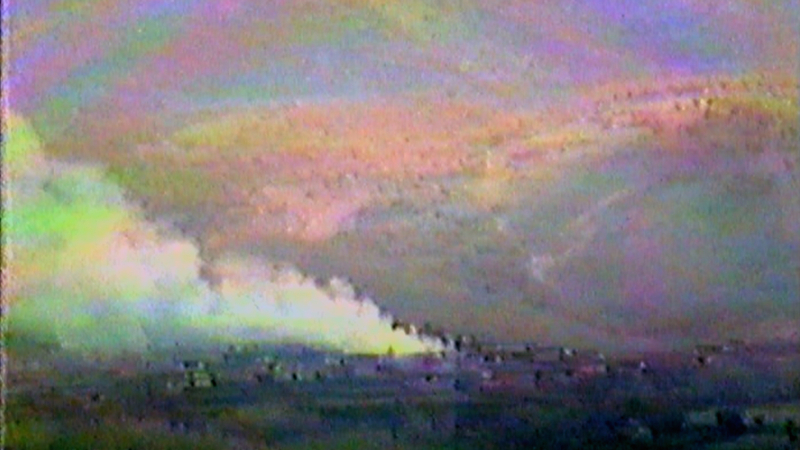 During the Fourth Anfal, Iraqi government forces attacked Goptapa with chemical weapons.